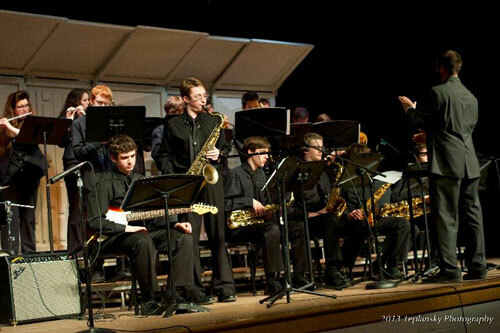 Two Algonquin jazz bands took part in the annual Massachusetts Association for Jazz Educators (MAJE) district festival last week, and both offered performances that impressed the judges. Jazz I took home a Gold rating, while Jazz II got High Silver. The performance earned Jazz I a Gold rating, their first since 2009, and a trip to the MAJE state finals in Framingham on Saturday. At the state festival, Algonquin will compete against ensembles from nine other high schools, including Marlborough which also had a strong showing at the district finals at Algonquin last week. Saturday’s state finals take place at Framingham High School, and the public is invited to attend. Algonquin takes the stage at 11:00 am. You can see the full schedule here.